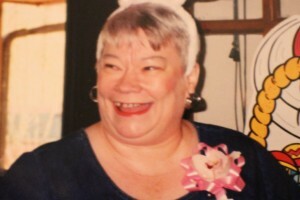 Carol Field Beasley, 71, Little Rock, born November 13, 1942, passed away November 10, 2014. She is preceded in death by parents, Sheldon and Isa Field; brother, Bill Beasley; honorary parents, Jewel “Dude” Beasley and Connie Beasley. Carol is survived by her husband, Edward Beasley; daughter, Amy (Jason) Boyce; granddaughter, Katie Boyce; siblings, Kathleen Baswell (William), Bonnie Brand (Norm), L.J. Brand, Barbara Leavendusky (Stanley), Gerald Beasley; and numerous nieces and nephews. Memorial service will be held 11am, Friday, November 14, 2014 at Community Park Church in Alexander.